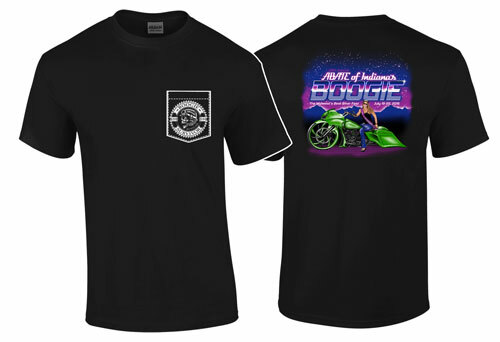 Boogie 2018 BLACK Adult POCKET Tee size LARGE. Screen print front and back. Boogie 2018 BLACK Adult POCKET Tee size MEDIUM. Screen print front and back. 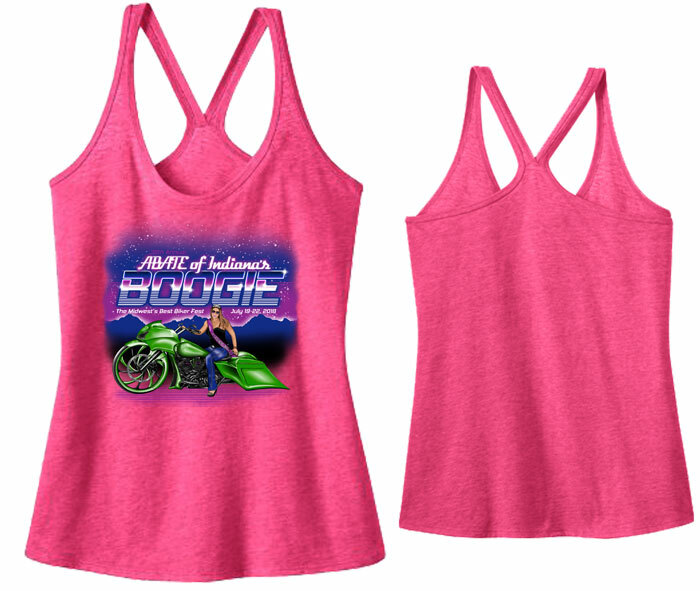 Boogie 2018 Ladies Pink Tank 2X. Screen print on front. Boogie 2018 Ladies Pink Tank Large. Screen print on front. Boogie 2018 Ladies Pink Tank MEDIUM. Screen print on front. 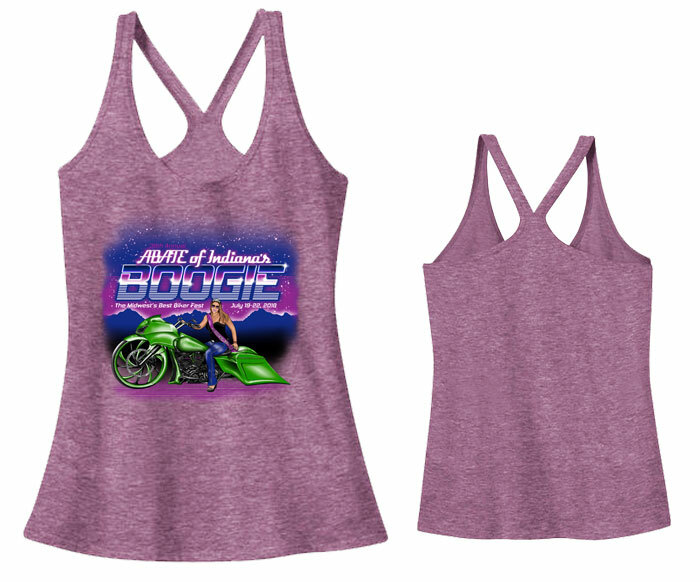 Boogie 2018 Ladies Purple Tank MEDIUM Screen print on front. 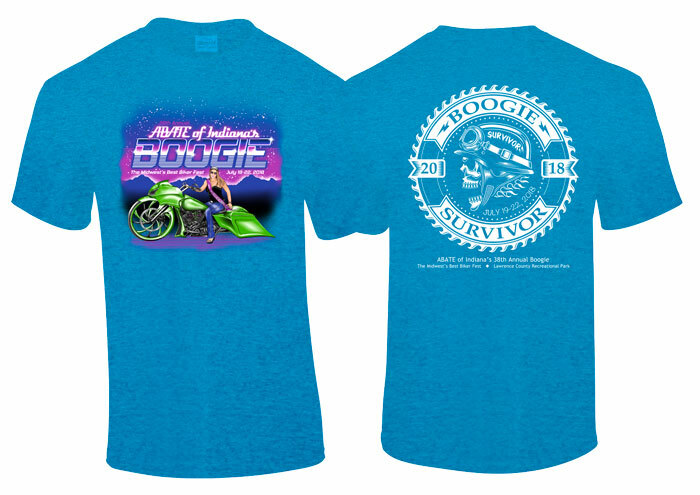 Boogie 2018 Neon Sapphire Blue Adult Tee 3X. Screen print front and back. Boogie 2018 Neon Sapphire Blue Adult Tee 2X. Screen print front and back. Boogie 2018 Neon Sapphire Blue Adult Tee XL. Screen print front and back. Boogie 2018 Neon Sapphire Blue Adult Tee Large. Screen print front and back.